This page links to articles, by a various authors, about different horse breeds. Below is a little about the early domestication of the horse. Most likely there were at least four basic wild horse prototypes. Northern European horses were adapted to cold, damp climates. 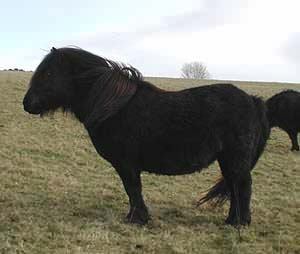 They probably resembled Shetland ponies, being small, sturdy, heavy-set animals with thick heavy coats. The "Warmblood" or "Forest Horse" (also called the Diluvial Horse) lived in Europe's forests and swamplands. It is thought to have evolved into Equus germanicus, which may have contributed to the development of the warmblood horses of northern Europe, as well as European heavy horse breeds such as the Ardennais. "Oriental horses" were adapted to hot, dry climates of western Asia. They were slimmer and more refined than the other types, being swift and agile. 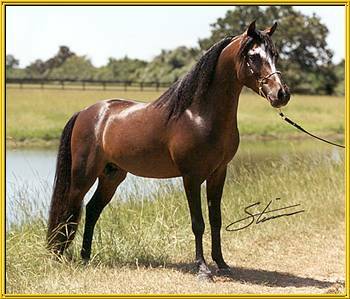 They are thought to be the progenitors of the ancient Caspian, Arabian and Akhal-Teke horse breeds. 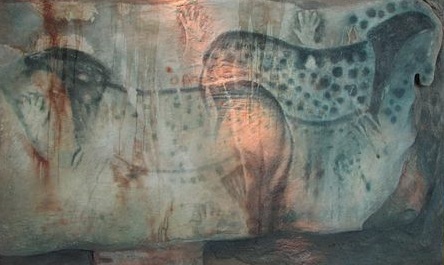 The "Tarpan type horses" were adapted to the dry climates of northern Asia. They were sturdy dun-coloured animals, the size of a large pony. They were predecessors of the Tarpan and possibly Przewalski's Horse, as well as the domesticated Mongolian horse. The Tarpan itself became extinct in the late 19th century. The Norwegian Fjord Horse retains many characteristics of primitive European horses and bears a striking resemblance to the horses painted on cave walls by ice age artists some 30,000 years ago. They are extremely hardy, able to thrive on poor grazing and endure the harsh weather conditions of their environment, which can be hot and dry in the summer, and cold and wet in the winter. 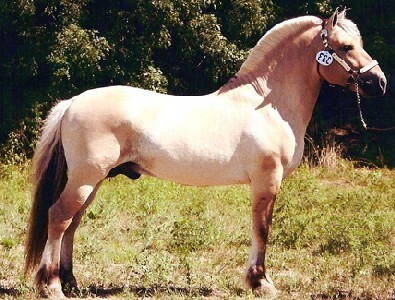 It is a horse breed that closely resembles the Przewalski’s horse. This includes an upright mane (which may fall over if it grows long enough), along with primitive coloring and markings. Many horses died out by the end of the last Ice Age, probably some time after about 8000 BC. In the Americas there are no indigenous wild horses, only feral ones that have escaped, relatively recently, from domestic herds, and then bred in the wild. It is possible that domestication, probably as a livestock food source, helped save the horses of Eurasia. Evidence suggests that horses have been domesticated for longer than we previously thought, probably at least 5,500 years ago. Dogs, cows, sheep and goats had already domesticated and so people were probably already aware of the benefits of selective animal breeding. Early on domesticated horses were used to carry belongings, and also used to provide milk, meat and skins. The early horse breeders doubtless discovered that some desirable characters could be passed from parents to offspring, even though they knew nothing about the principles and theory of horse genetics. Molecular genetic evidence shows that horses were domesticated from more than one, and most probably several, diverse ancestral horse populations. It also shows that many fewer stallions were domesticated than mares, with few wild stallions contributing genetically to the domestic horse. Domesticated horses didn’t directly evolve from the Przewalski's horses, which are distinct from other horse breeds. Nevertheless there are some ancient horse breeds, like the Exmoor, German Dülmener, Sorraia and Caspian that might have directly descended from ancient wild horses, a controversial issue which isn‘t resolved. Cothran, E.G. and Long, Y.G. 1994. A new phenogroup in the horse D system of red cell alloantigens found in the Caspian pony. Animal genetics 25(1):49-50. Jansen, T., Forster, P., Levine, M. A., Oelke, H., Hurles, M., Renfrew, C., Weber, J. and Olek, K. 2002. 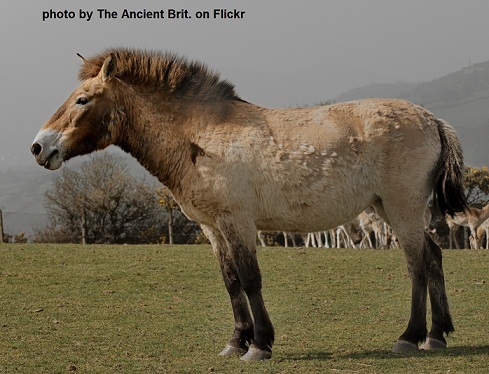 Mitochondrial DNA and the origins of the domestic horse. Proceedings of the National Academy of Sciences, USA. 99 (16): 10905-10910. Lindgren, G., Backström, N., Swinburne, J., Hellborg, L., Einarsson, A., Sandberg, K., Cothran, G., Vilà, C., Binns, M. and Ellegren, H. 2004. Limited number of patrilines in horse domestication. Nature Genetics 36, 335 - 336. Vila`, C., Leonard, J. A., Go¨thersto¨m, A., Marklund, S., Sandberg, K., Linde´n, K., Wayne, R. K. & Ellegren, H. 2001. Widespread origins of domestic horse lineages. Science 291, 474–477.